In the Old Testament times, the key word that was used often is 'mercy', which means God's forgiveness for all our sins which deserves only God's wrath. God's forgiveness in itself is great because it frees us from guilt and condemnation but it does not give us the power to overcome sin. Even when the word 'grace' is used in the Old Testament, it meant not God's overcoming power but a goodness and benevolence of God to His people. The Law came through Moses (John 1:16). In the Old Testament once the people realised that they have sinned, they will bring a sin offering of bulls and goats to the anointed priest in order to lay their hands on it and transfer their sin upon it, and then kill and sprinkle its blood on the horns of the altar [i.e. which was situated on the outer court], and pour all the remaining blood at the base of the altar (Lev 4:27-35). And also once a year the High Priest will sprinkle the blood of bulls and goats upon the mercy-seat in the same way, and before the mercy-seat for the atonement of the soul of himself, his household and for all the assembly of Israel (Heb 9:22; Lev 4; 16:15, 17; 17:11). The mercy seat was the golden top cover which was placed upon the ark of the Testimony in the Most Holy place (Exod 26:34; 25:17), upon which the very Presence and glory of God stayed literally (Exod 25:17). God promised to speak to Moses from above the mercy seat where He tangibly dwelt from between the two cherubim (Exod 25:22). God had also promised these Israelites that all their sins will be temporarily covered for the bygone year when blood is sprinkled on the mercy seat. God had promised to forgive their sins when they would reverently approach him for His mercy and atonement through the blood sacrifice of animals which reminded them the value of God's forgiveness and His hate towards all sins (Heb 9:13). Through the Law God restrained people from sin and wanted them to realise that they were desperate sinners in need of a Savior, so that by their faith in the coming Messiah they could be saved in their future (Gal 3:19, 22-23). The maximum the Law and the prophets could promise was the forgiveness of sins, but no more than that. No Old Testment Prophets could ever promise a victory over sin. But thank God something amazing happened when Jesus incarnated to become one among us humans. 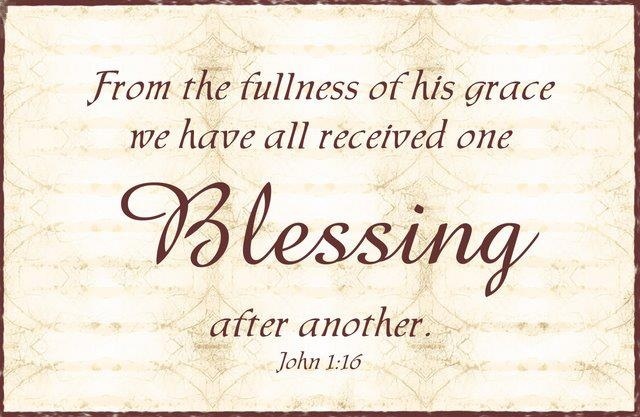 Jesus who owns all the good things of heaven legally, started to disperse it as the grace of God's blessing upon blessing to everyone who believed Him and started to ask Him for more and more (John 1:16; Matt 7:7-12). 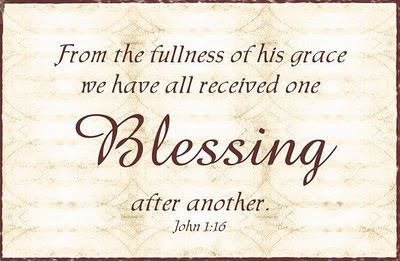 The very key word of the New Testament is 'grace'. The acronym for grace at best can be desribed as 'God's Riches At Christ's Expense' (2 Cor 8:9). Once Jesus began to give His grace to over come sin, Paul made a magnificent statement of promise under the inspiration of the Holy Spirit saying, "For sin shall not have dominion over you, for you are not under law but under grace." (Rom 6:14). In other words, no matter how sin tries to pull you down spiritually and intimidate you to make you believe that you can never overcome its wicked hold, once you ask Jesus humbly and persistently for more grace, sin will immediately have to loosen itself and run away from you because of the mighty power of God that will begin to be released to you and through you (Jam 4:6-7). The word of God says that when you submit to God and resist the devil, he will flee from you. To submit to God is to agree that as a sinner made righteous by God's mercies, we do not have the power to overcome its lure in our lives and that only God can help us overcome it. To resist the devil is to speak the word of faith against Satan and his demonic cohorts that will make them flee away from us (Rom 10:10; Matt 4:3-4, 11; Rev 12:11). The thoughts that cause us to do the sinful actions usually comes from the wrong root of the sinful heart inside us, so the root will be dealt by God when we start to cooperate with God to overcome sin in our lives (2 Cor 10:3-6). The Prophet Zechariah by inspiration cried out to declare that all our mountains of problems that stand unmoved before us will become plain when we say with our mouth, "Grace, Grace to it!" (Zech 4:7). This grace is received and spoken to victory only in the name of Jesus who is described by the prophet Zechariah as the capstone (Matt 21:42). Jesus was the stone rejected by men but approved by God to build the great house of God in and through the very physical body of believer's world wide for God to dwell in them through the Spirit (2 Cor 6:16; Eph 2:22). Praise the Lord! "For what the law could not do in that it was weak through the flesh, God did by sending His own Son in the likeness of sinful flesh, on account of sin: He condemned sin in the flesh"...[so that] "now having been set free from sin, and having become slaves of God, you have your fruit to holiness, and the end, everlasting life [which is God's heavenly life experienced beforehand on earth itself]." (Rom 8:3; 6:22). I pray that our Lord might enlarge our inner spirit man to not only understand this beautiful theme of overcoming life over sin but also help us receive the grace to reign over sin in this life as He has promised to us (Rom 5:17).